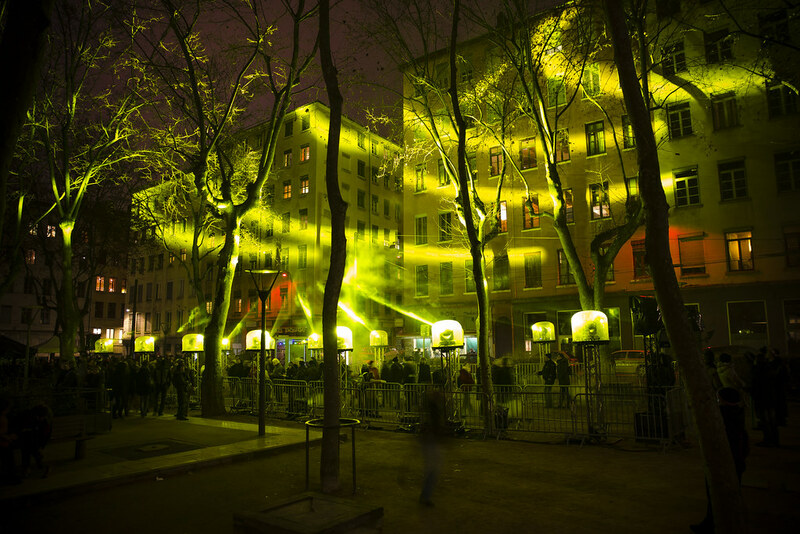 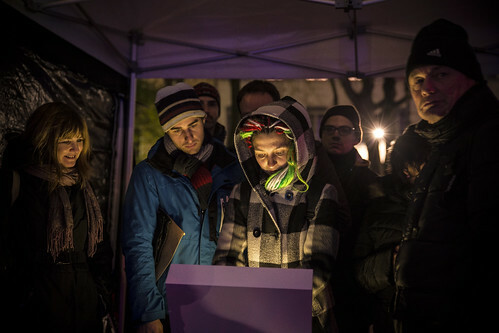 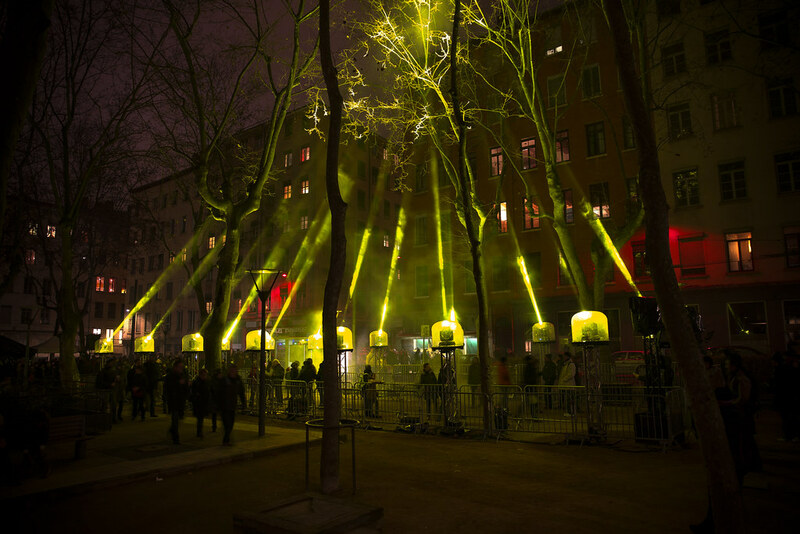 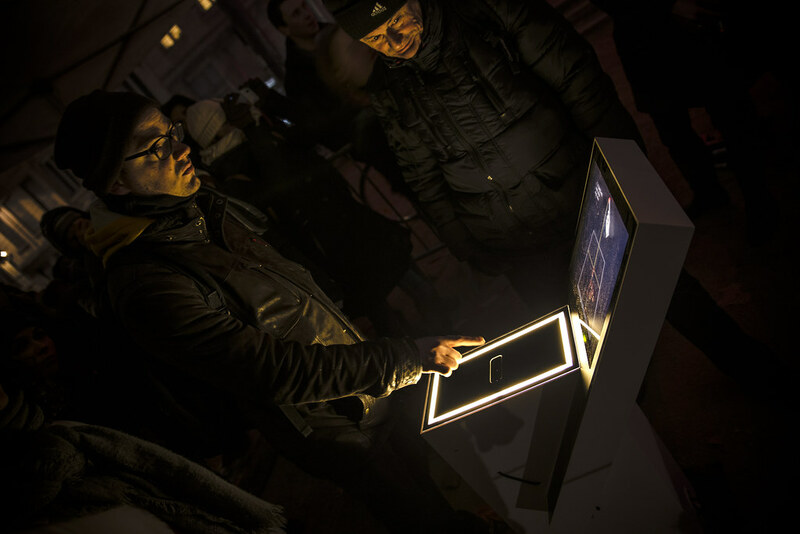 Playmodes created an interactive version of Axial for Lyon’s light festival. 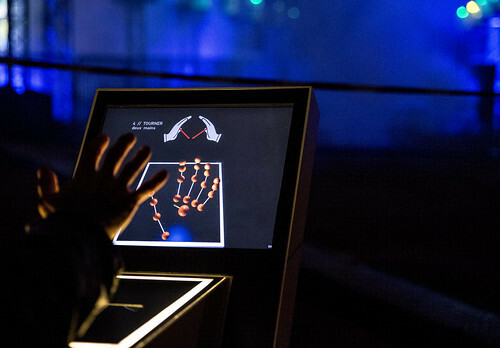 Interaction is based on a LeapMotion sensor, which allows the recognition of finger poses with high precision. 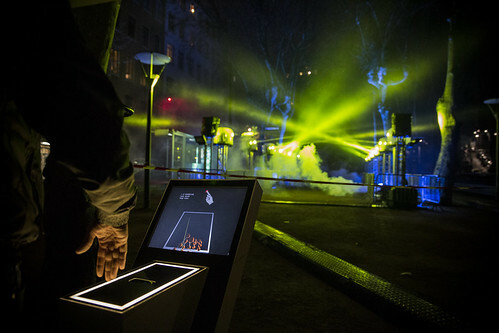 Moving their hands above the interactive spot, users see a 3D representation of their hands and instructions on how to play the actual mode. 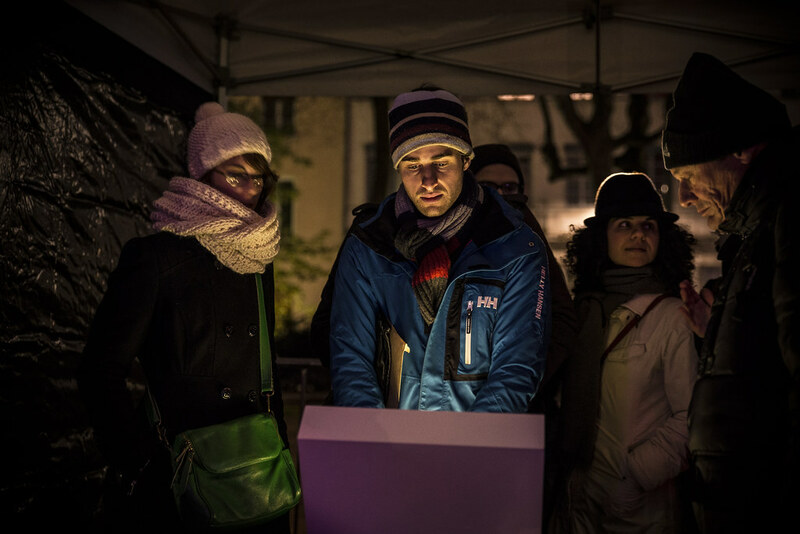 Position coordinates from the interactive app are sent as OSC to MAX/MSP, to control the lighting fixtures. 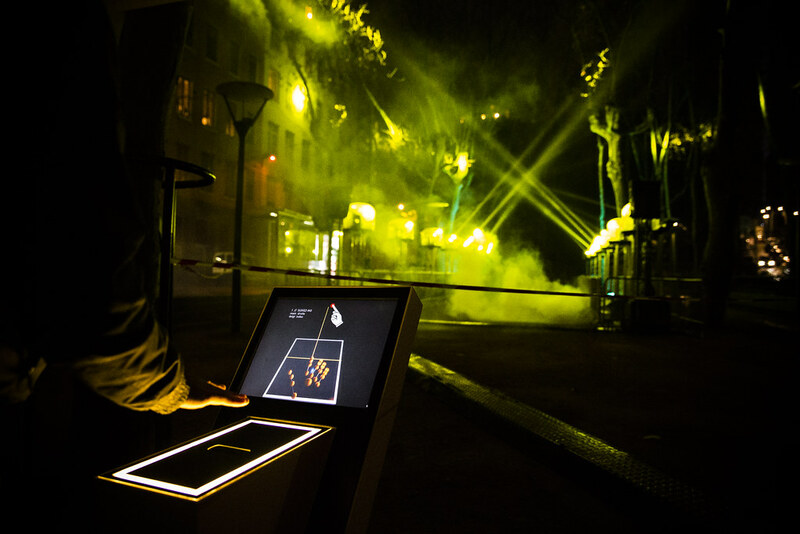 The Reaktor audio engine also receives this data and allows its real-time sonification. 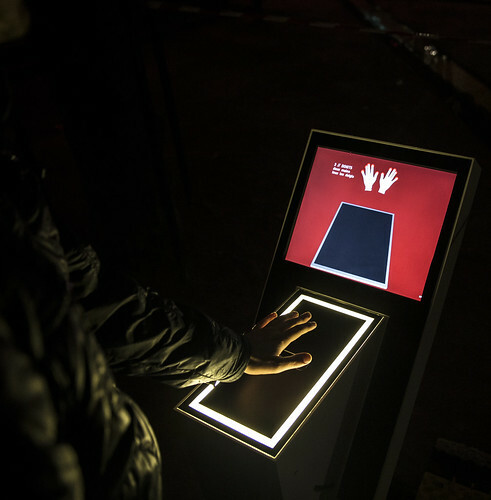 -On the FollowMe mode, the system tracks the index finger of users and creates a light intersection point which follows the finger position. 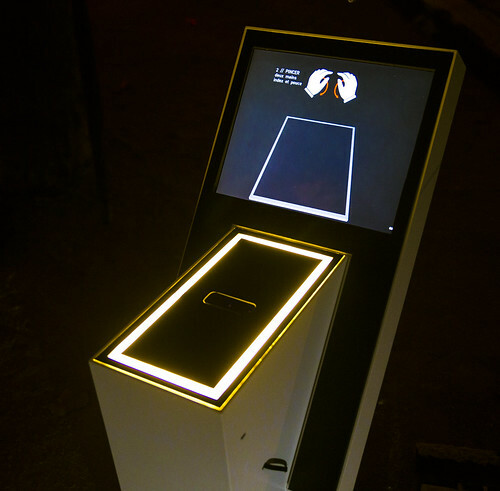 -On the Piano mode, people can use both hands to play the instrument as a piano. 16 invisible keys are created which people can press thus creating a reaction on each of the 16 light fixtures and activating a particular sound for each note. -On the Delay mode users can create light waves. 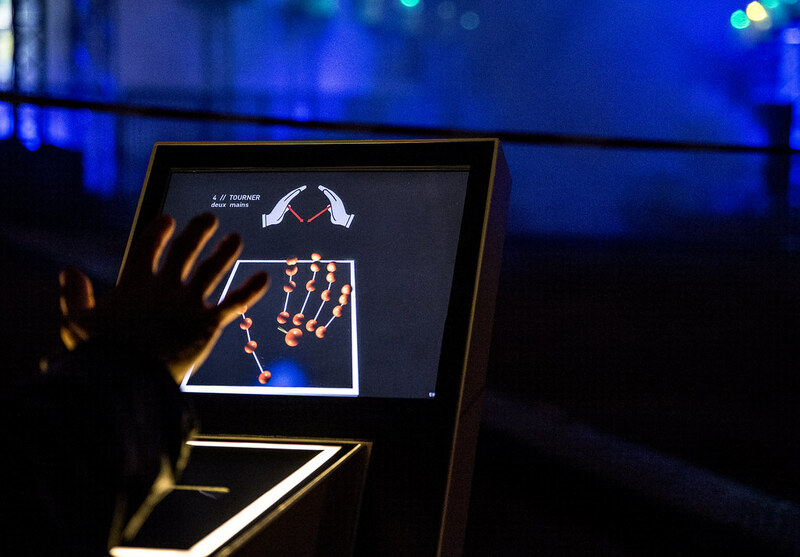 The system samples hands movement and applies this movement to the nearest light. Then, this same movement is applied to the next lights with a certain delay time, creating transversal waves of movement, light and sound. 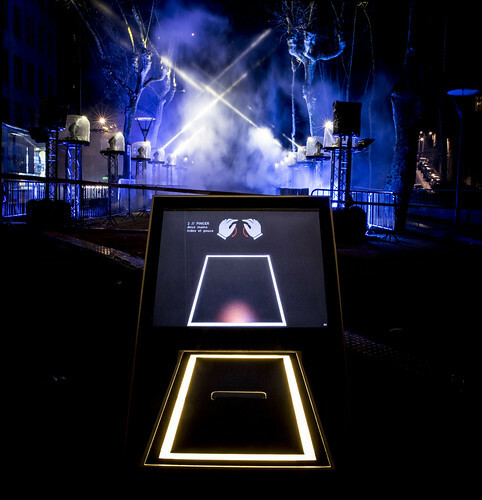 -On the Lyre mode, audience can play the instrument as a harp. 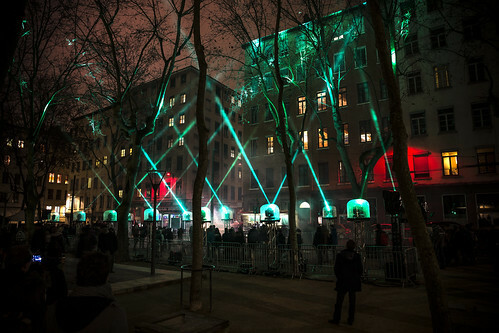 Each light is a string of this harp, so when the fingers cross the coordinates for each of this strings the light is enabled and sound is triggered.